There isn’t much new going on with the wedding planning front. We knocked so much out within the first couple of weeks that I kind of coasted for a while. We have the reception hall (which includes the caterer, DJ, coordinating, and enough decorations that we probably don’t have to add any if we don’t feel like it), the church for both the ceremony and the rehearsal, the wedding photographer, and the officiant, and we have the blocked hotel rooms currently pending further action on the part of Marriott. We know what bakery we want to use for the wedding and groom’s cakes and I have designs in mind although I’m still looking. We did a lot of work on the guest list and the attendants, thought about colors and all that, and my sister, mom and I looked at tons and tons of wedding gown pictures. I booked the honeymoon, which is another Western Caribbean cruise (same cruise line, different ship, and mostly different ports). The next things I’m concentrating are finding someone to do makeup and hair, calling the officiant to try and set up pre-marital counseling sessions (of which five are required), contacting the organist I want to play the wedding, thinking about transportation from the church to the reception hall, and figuring out where to have the rehearsal dinner and, if not at a restaurant, who will cater it. Bridal Guide magazine has insisted on sending me free issues for many years now, and I’m finally starting to use their strange generosity. (I also keep free issues of The Week for some reason? No complaints here.) The magazines are really helpful with an etiquette column, a countdown checklist, and of course, tons of ads and photos. They also often include supplements such as Honeymoon & Destination Wedding magazine and a “home” section, complete with beautiful china patterns and a lengthy checklist you can use to help you complete your registry. I’ve been working on that too, but slowly. 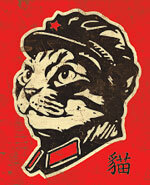 At least one nice person has already asked me where I am registered, so I figure I’d better get on that. It will be easier once we have chosen a china pattern. I bought a ton of wedding- and marriage-themed books because I love to read and will use any excuse to get more books. But despite the overflowing shelf space in our apartment, I’m not regretting this decision as all since this reading has been quite educational and also calming. I’ll start reviewing some of the books once I’m fully out of my current writer’s block phase. A recent development in the bridal marketing world (which, according to my mom, can be blamed on Melania Trump) is that of the “second dress.” The idea is that you wear your bridal gown for the ceremony and pictures, then, for the reception, change into matching, super fancy shorter white dress for dancing. No thanks. I can only wear a bridal gown once and I’d like to enjoy it for as long as possible. One thing I would like to do prior to the wedding, as so many brides would, is lose a little weight and tone up these arms. I’m not looking at a whole lot of weight loss, but I put on 15-17 pounds since moving up here years ago that aren’t coming off because I’m not really being consistent with my diet and exercise habits. I work out hard when I go to the gym and have become much stronger and more fit, but I also slack off and only do it enough to maintain a basic level of good health, not any real changes. If I could just stay consistent, I might see some serious results! I also stay up too late every night and wind up desperately craving carbohydrates at midnight … nommmm. I think Eric might join my gym and we will have fun going together. He has a tendency to make everything fun without even trying, so I’ll probably actually WANT to go and work on my cardio more! He could make shopping for toenail clippers fun. I also joined the My Special K Challenge and I bought a Women’s Health magazine DVD called Wedding Workout. In short, the planning is a lot more exciting than I was expecting. Sometimes I do get stressed out or start worrying too much, but I’ve decided to roll with it and have some fun! 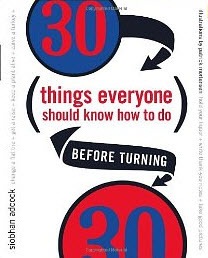 On a somewhat recent trip to McKay’s used books and music in Manassas, I picked up a discounted little read I had been considering for several years: 30 Things Everyone Should Know How to Do Before Turning 30, by Siobhan Adcock. I love books that give you the author’s opinion of things that everyone should do before they turn a certain age, before they die, before they get too old to appreciate it, before they have kids, before they do anything else ever again, bla bla bla. Do YOU know how to do all of these things? And should you? So here begins a little experiment of mine. It just so happens that my 30th birthday is under a year away – closer to nine months away, to be exact. And I don’t know how to do everything in the book. So why not try out Adcock’s suggestions and see if I can indeed learn to do all of these things? It can’t hurt to hone my present-wrapping, cooking, dancing, flat-tire changing, and persuasive speaking skills. At worst, I’ll make a fool out of myself for your amusement. At best, I’ll pick up some awesome new skills I should’ve learned a long time ago – no, I cannot parallel park – and have fun reviewing the book in a creative manner along the way. And if it works out well? I may just try out the experiment again with another “everyone should” book. There are plenty of ’em. Stay tuned for Thing #1, in which I learn to wrap a professional-looking present! How timely!